Schlifer Clinic welcomes Bill C-78 proposed by federal government. The Clinic welcomes the changes as proposed by the federal government in Bill C-78. The proposed legislation would make changes to the Divorce Act, the Family Orders and Agreements Enforcement Assistance Act, and the Garnishment, Attachment and Pension Diversion Act. The Legislation has been announced as using “child-focused” language and replacing terms like “custody” and “access” — terms that have been known to fuel conflict between parents — with “parenting orders” and “parenting time.” While we support the emphasis on the well-being of impacted children, we are concerned that we see a preference for mediation where women who experience violence generally feel pressured by such administrative incentives to enter into negotiations where there is a real threat of coercion or harm. 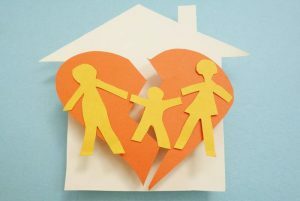 The proposed new measures would also address issues surrounding parents or children who relocate after a divorce and would, under some circumstances, allow authorities to use tax information to enforce child support payments. Bill C-78 proposes making the best interests of the child a priority. In doing so, the court shall consider all factors related to the circumstances of the child, including the child’s views and preferences, by giving due weight to the child’s age and maturity, unless they cannot be ascertained; the child’s cultural, linguistic, religious and spiritual upbringing and heritage, including Indigenous upbringing and heritage. The proposed changes require consideration of “family violence” in family settlements. Specifically, the nature, seriousness and frequency of the family violence, needs to be weighed. The courts will need to look at when it occurred and the physical, emotional and psychological harm or risk of harm to the child. The changes also state that settlements will consider any compromise to the safety of the child or another family member; whether the family violence causes the child or other family members to fear for their own safety or for that of another person. This is balanced by taking into account any steps taken by the person engaging in the family violence to prevent further family violence from occurring and improve their ability to care for and meet the needs of the child. The challenge for the Clinic remains the issues of application of these changes in the court, only time will tell if these proposed changes have a substantive difference in the jurisprudence and its ripple down effect.